Siti Med Spa is San Diego's Medical Spa and Skin Care Leader in advanced cosmetic medical treatments and anti-aging procedures including BOTOX®. Contact us today and ask about our affordable cosmetic treatments and to schedule a consultation. Siti Med Spa in San Diego is devoted to working with every patient to help them reach their goal of enhancing their personal appearance and self-esteem, catering to each patient's unique style and personality. As San Diego's leading medical spa in advanced anti-aging procedures, our highly trained practitioners will evaluate and tailor a program to your specific needs. Siti Med Spa uses advanced FDA-approved cosmetic medical treatments that result in visible improvements. We specialize in chemical peels, vein removal, Total FX laser skin resurfacing, Botox, dermal fillers such as Juvederm XC and Radiesse, B12 weight loss treatments, and much more. To enhance results for our patients at home, we also offer efficacious medical-grade products developed to work in conjunction with in-office treatments. Call us today at (619) 717-8484 to schedule a consultation and experience the Siti difference. Our highly-trained staff of Nurse Practitioners and RNs are leaders in cutting-edge anti-aging procedures and take pride in providing the best possible service to meet each patient's individual needs. We specialize in chemical peels, vein removal, B12 weight loss treatments, Total FX laser skin resurfacing, Botox, dermal fillers such as Radiesse and Juvederm XC, and much more. View our latest special offers on med spa treatments and services at Siti Med Spa in Banker's Hill, San Diego. We offer quality service from our staff of highly-trained Nurse Practitioners and RNs at affordable prices. In the midst of booking your travel and hotel arrangements and reading reviews about the best things to eat, see, and do at your vacation destination, it’s important to think about how you’ll keep your skin clear while traveling. Here are our six best skin care tips for your vacation. You have a range of scar removal options to choose from, including natural scar remedies, over-the-counter products, and laser scar removal treatments. These are the 8 best ways to get rid of scars, from acne scars to keloid scars and everything in between. If you’re concerned about how the signs of aging have changed your appearance but you aren’t ready for a major procedure, you might be considering BOTOX® or Dermal Fillers as a subtle way to refresh your look. Here’s a breakdown of what each treatment has to offer and how they differ. Wrinkles, gray hairs, and sagging skin affect everyone, and when men start to notice the visible effects of time on their body, their first instinct is to hit the gym. But it’s not the only way to fight the aging process. Here are our best anti-aging tips for men. If you’re like most people who suffer from rosacea, you’re probably exhausted from the trial-and-error efforts to reduce facial skin redness. The 2D Laser Facial is an effective rosacea laser treatment that can eliminate redness, improve your skin tone and texture, and boost your confidence. For those of us who aren’t willing go under the knife for the sake of restoring our youthful appearance, there’s JuVaShape. JuVaShape is the best non-surgical skin tightening treatment available, and it’s fast, affordable, and painless. Nothing’s more seductive than a pair of soft, shapely lips. Most lip fillers are comprised of hyaluronic acid, a substance that naturally occurs in the body. While different lip injections are made of this same material, there are slight variations in results. Learn more here. Not all med spas are created equal. To stay healthy and get the results you want, it’s important to choose a high-quality med spa with experienced staff members and a reputation for excellence. Before you make your first appointment, here are six questions to consider about any medical spa. 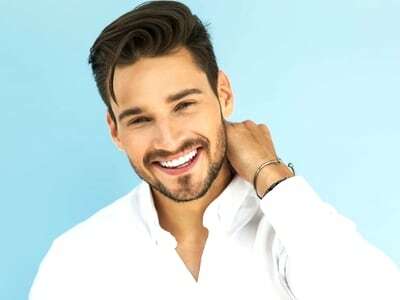 At Siti Med Spa in Bankers Hill, San Diego, we offer a variety of services for the growing number of men who want to look naturally younger, healthier, and more attractive. Here are our top five most commonly requested male cosmetic procedures.